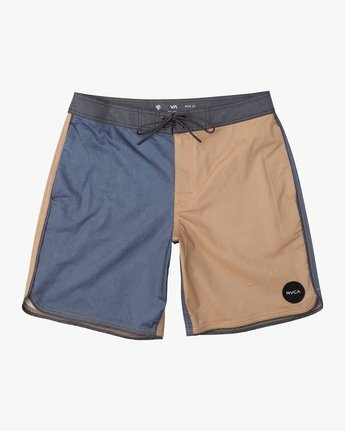 With a subtle color blocked design, the South Eastern 18" Trunk lets custom design and essential function live side-by-side. 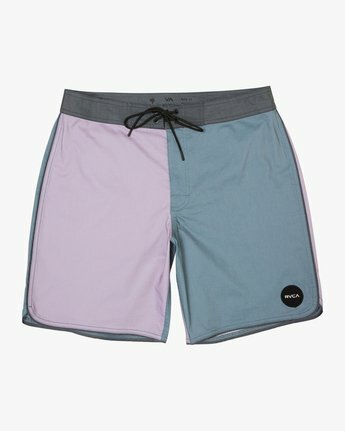 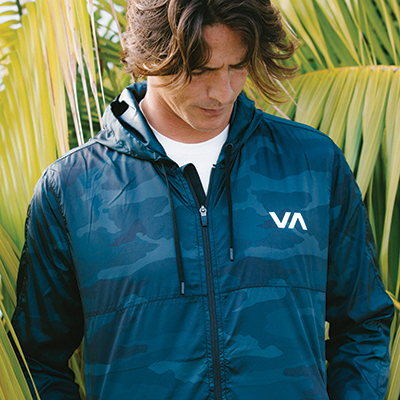 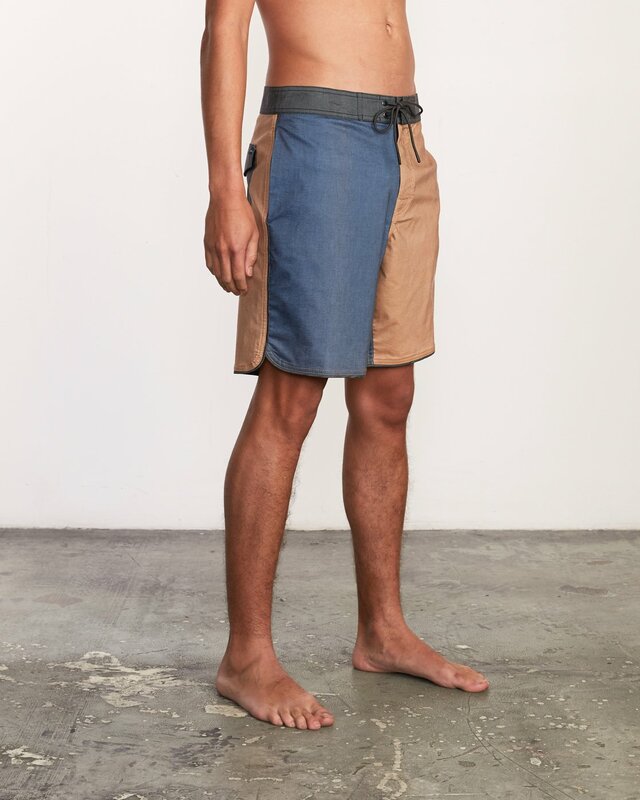 A nature division trunk, the boardshort is created with two contrast solid panels, topped with a round rvca patch at the left hem. 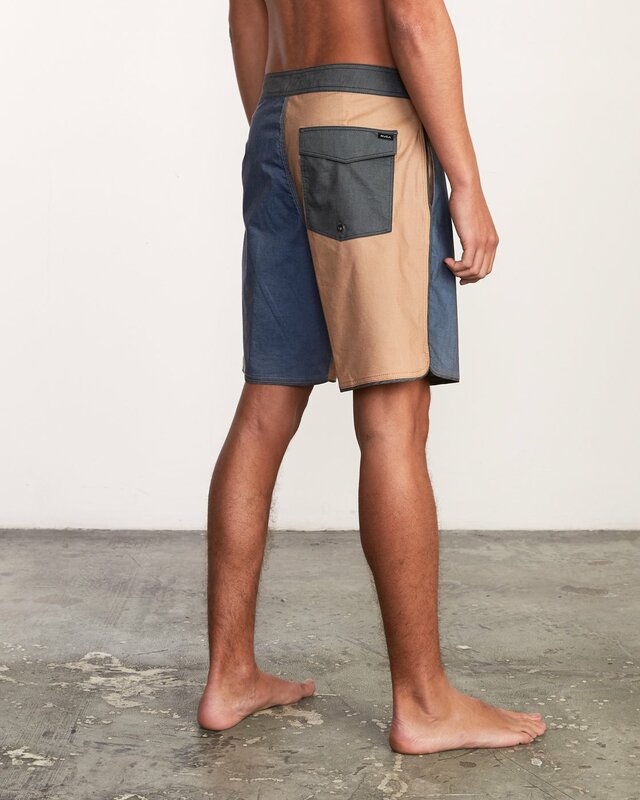 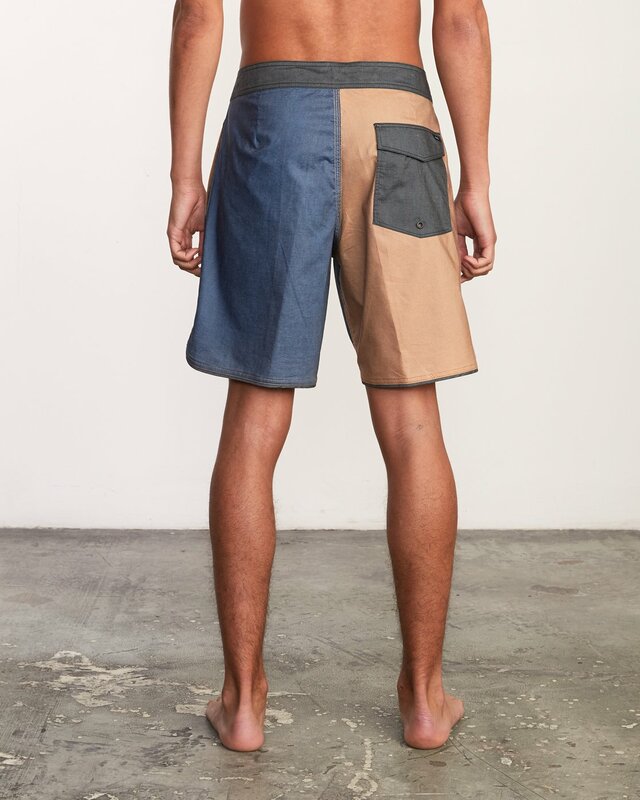 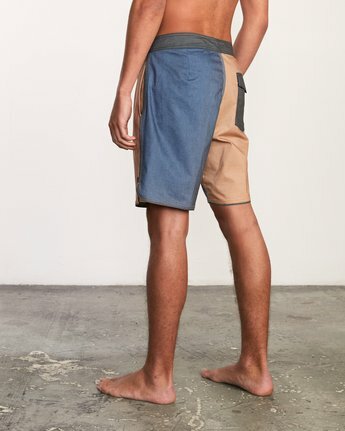 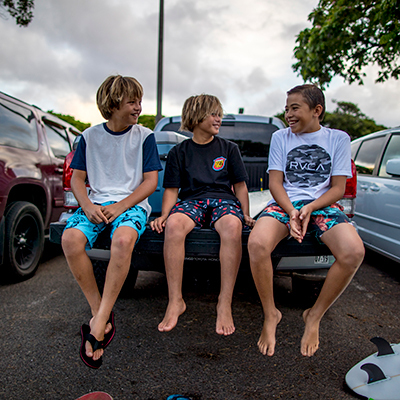 A heritage stretch blend construction offers the feel of a classic boardshort with modern, moveable function.